There's nothing like getting out and about with your dog and taking them for long walks in the countryside. Choose a dog lead that you can trust - one that's durable and all for a great price too. Our Standard Dog Leads give you a secure grip and allow you to pull your dog in whenever you need to. The thick metal chain on our traditional-style lead gives it extra life and the padded handle prevents your hand from getting sore. 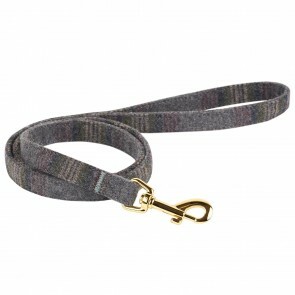 Our luxury range of heavy duty neoprene-handle leads are sure to catch the eye of other dog walkers in the park! In a variety of sizes, you can team one up with our neoprene padded collars for the ultimate in doggy comfort and security.